The origin of fire dates back over 100,000 years ago. The significance of fire to humankind is endless. It allows for warmth, cooking, socializing, and extending a typical day beyond sunlight hours. Additional contributions of fire include cooking meat to kill bacteria harmful to humans, provided venues for groups to gather and socialize (some consider this to be the first concept in a school, to tell stories that passed on), and just the idea of extending a person’s activities beyond sunlight allowed for additional productivity. Even though these benefits were revolutionary in prehistoric times, the modern fire is equally significant. The ability to start a fire has evolved. The tricks used to start a fire are endless. As anyone can attest, when you need a fire, there is little patience available to get a fire going. Through time, low tech fire starting techniques have passed onto future generations with ease. Some fundamental fire starting techniques are discussed here. When modern fire starting tools evolved, it was compact, simple, and became a part of our tool kit. Even though we have fire starting tools available, knowing which kit to carry and how to use it is critical. This fire starter review will help you make a decision on which fire starter tools are the right choice for you to have nearby. This review objectively tested 3 fire starter kit options: Everstrike Match kit, Mount Timp Fire Starter, and waterproof matches. 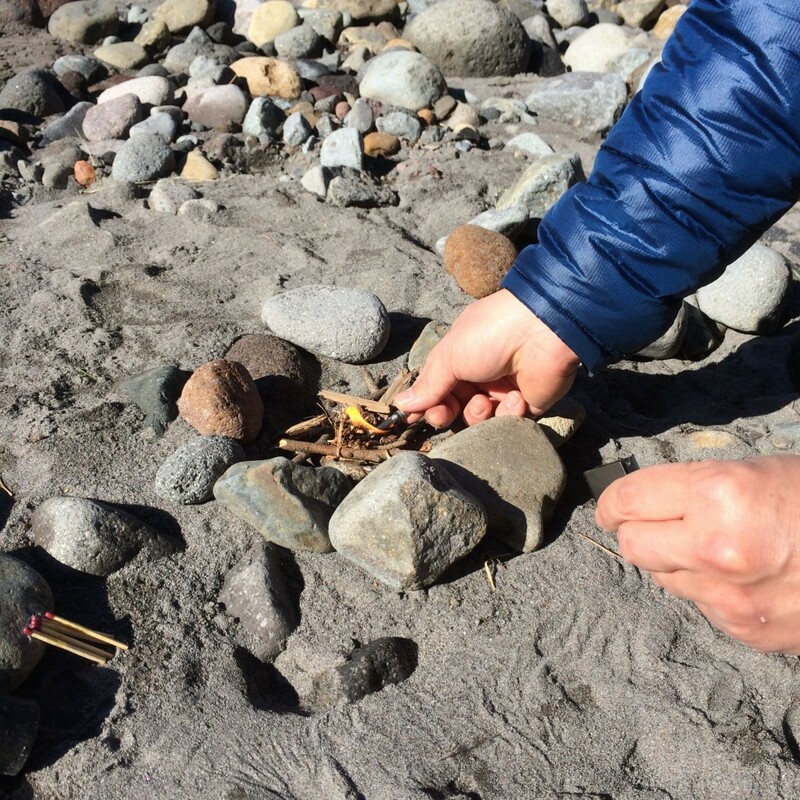 Each type of fire starters was tested in the same outdoor environment, to be objective. 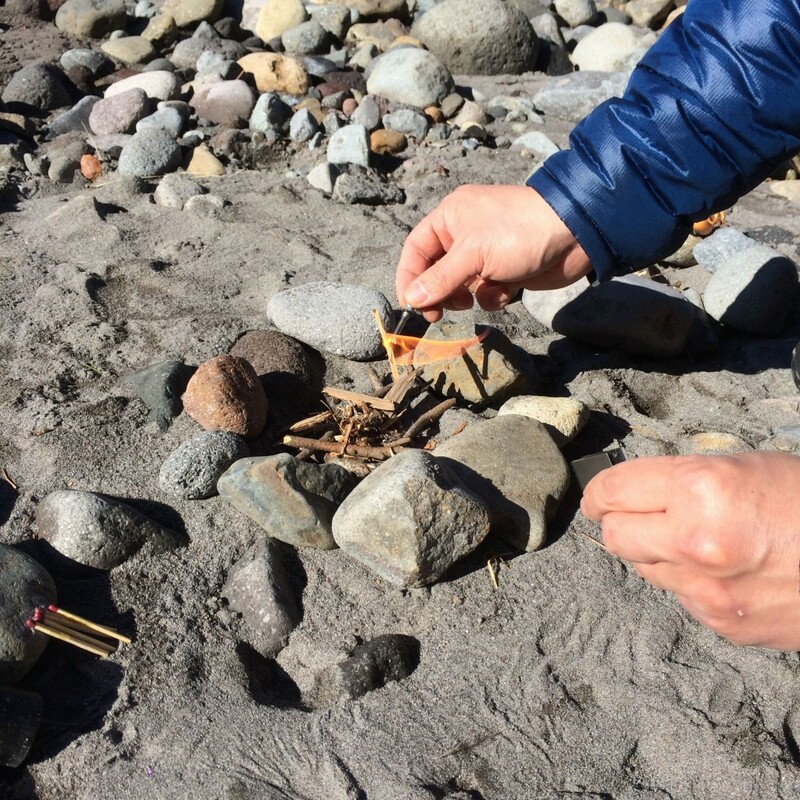 The review is organized into 3 categories: the Method used to test each fire starter, the Results of each fire starter, and Conclusion with recommendations. Each fire starter was tested in the same physical environment to minimize bias. 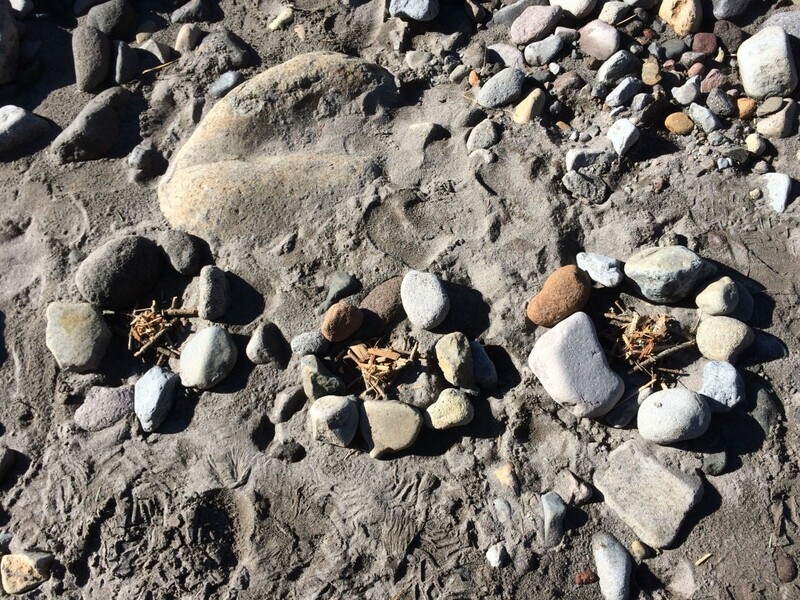 3 small fire rings were set up, all side by side, outside by a river. 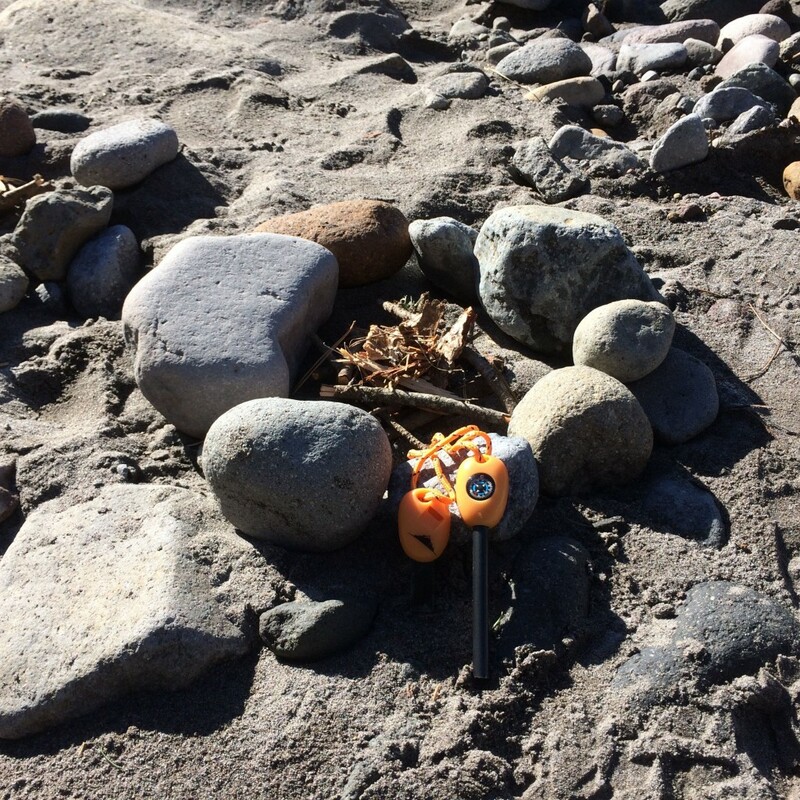 Each fire ring was dedicated to each fire starter kit. The day of the test, the outdoor conditions were perfect. It was sunny, approximately 35 degrees Fahrenheit, and little wind. In other words, it was ideal for testing out the basic principle of each fire starter kit. 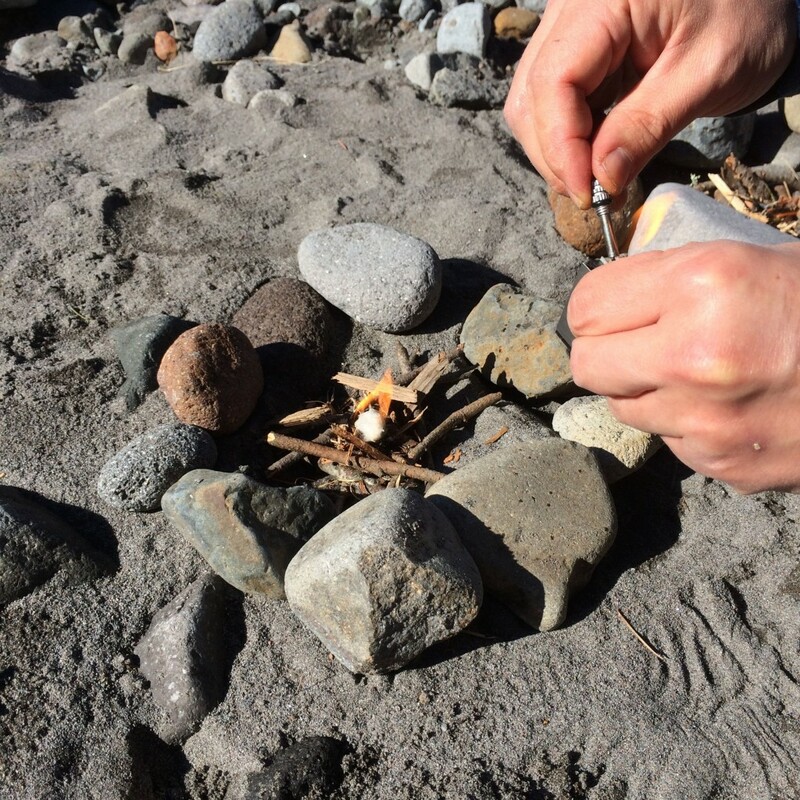 Each fire starter underwent 2 rounds of testing in their respective fire rings. The first round, for each fire starter, was to ignite each fire starter and see if it can start a fire with the tinder in each fire ring. It’s important to note that each fire ring was given an equal amount of dry tinder. 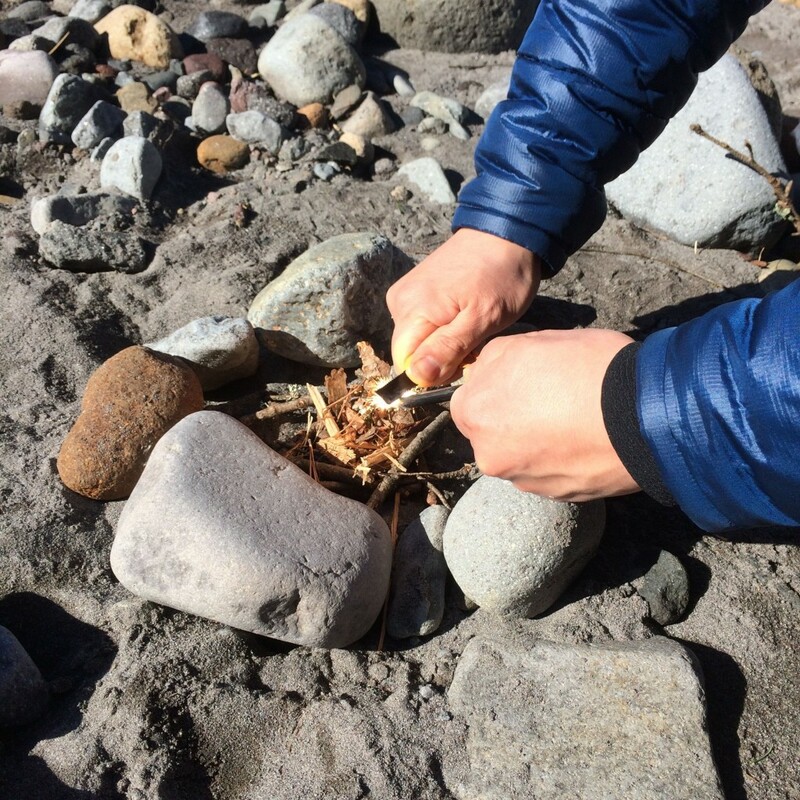 The tinder piles had small twigs (kindling) and loose fluff (dry wood shavings, grass, etc). 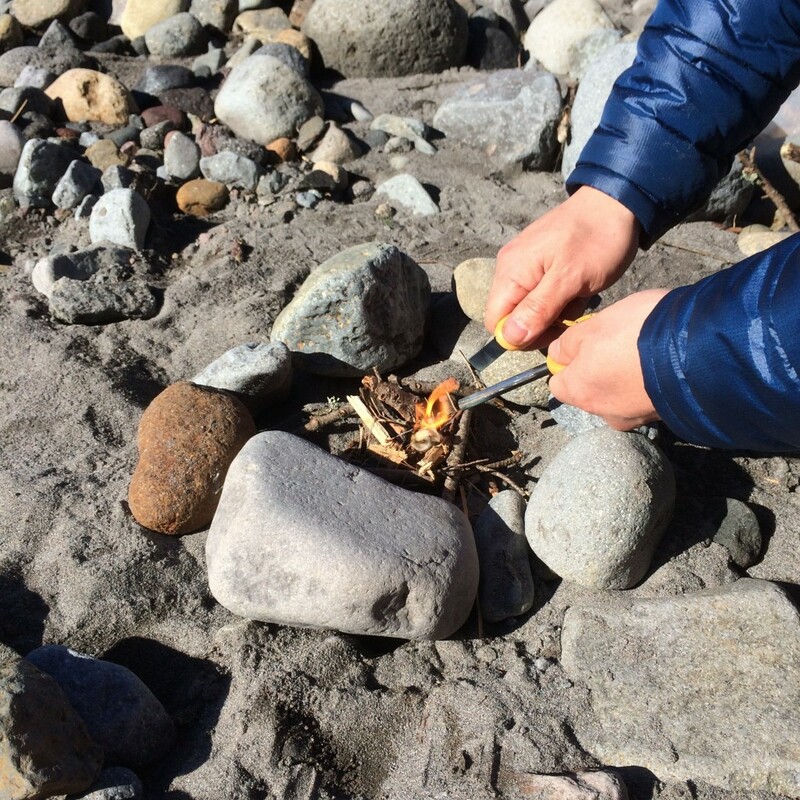 The idea is to make sure each fire starter kit had a representative and equal pile of combustible materials. The second round consisted of a new item added to the tinder, in each fire ring. A cotton ball soaked in petroleum jelly, very flammable, was separated into 3 small balls and placed on top of each tinder pile. This 2nd round of testing was to see how fast a fire can be started with each fire starter kit. The following pictures provide an overview of the testing environment for each fire starter kit. The photo above provides an overview of the testing environment. 3 separate fire rings were set up with tinder in each fire ring. A close up of the 3 fire ring test environment, above. 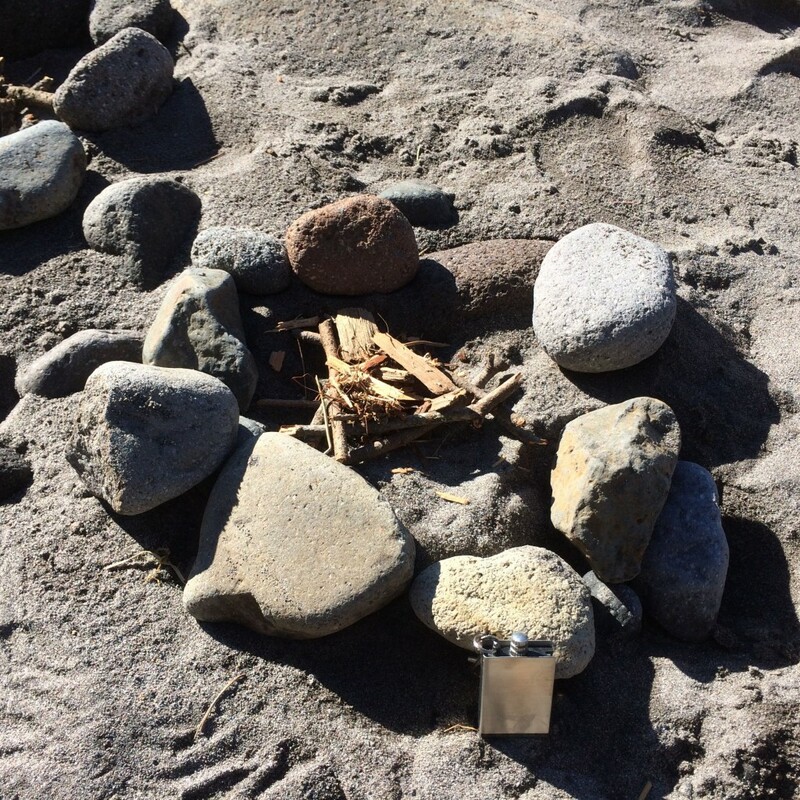 Each fire starter was place in front of the fire ring dedicated for that particular fire starter, as seen in the picture above. 1. EverStrike Match kit – This fire starter kit is designed to be operated like a match. Except, this match, has lighter fluid in a small reservoir and a match stick that has a fabric wick attached to it. 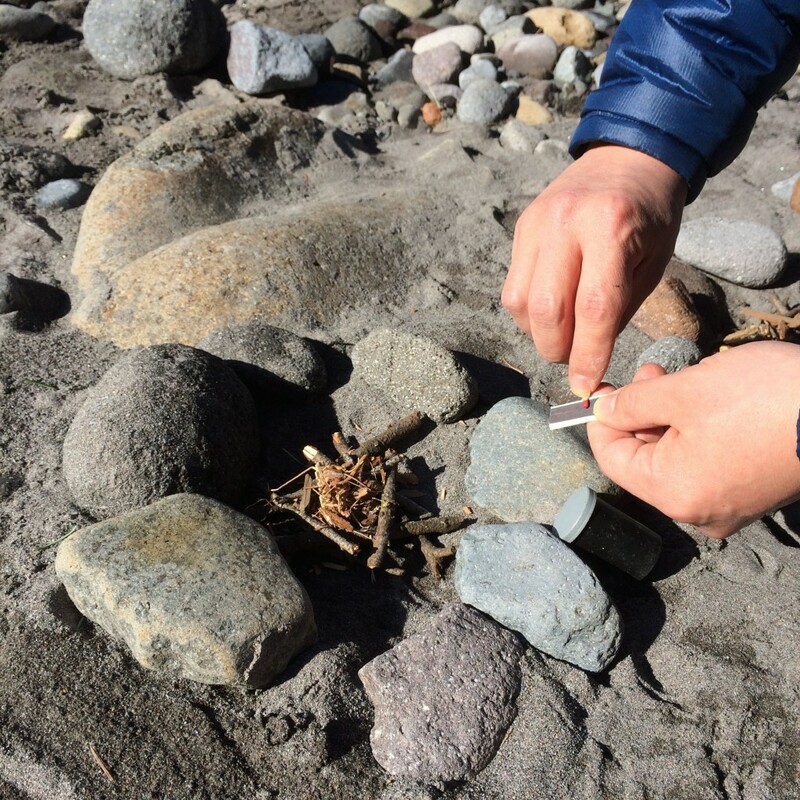 The idea behind this type of fire starter is that the match stick is continually soaking in the lighter fluid. When it is needed, the match stick is unscrewed, and ignited against the side, which has a flint rod permanently attached to it. It is just like striking a match. The entire unit is very small, the size of a matchbook, compact, sturdy, and can be stored almost anywhere. For the first round test, the match stick was taken out of the reservoir, and a short strike against the side of the unit sparked the match stick instantly. A firm and quick downward striking movement was used so no lighter fluid escaped and a spark could be generated quickly. Once the stick lit on fire, it was placed onto the tinder. The tinder pile started to smolder immediately and if given a quick breath, it would have caught on fire no problem. For the second round test, a small cotton ball with petroleum jelly was placed on the tinder pile. The match was reinserted back into the unit so it can represent another attempt. The stick was removed, and as with the first round, a firm and quick downward strike was made with the stick against the flint side of the unit. The stick lit right back up and when placed onto the cotton ball, an instant fire was made. The ability for the EverStrike firestarter kit to produce a fire was easy and reliable. 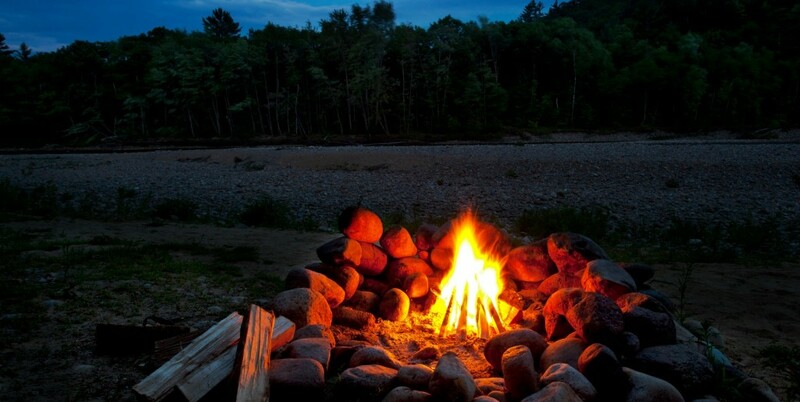 Once lit, placing it to a tinder pile or any flammable fire starter would be a sure way to get your fire going. Even when it was wet, it lit right up without any hesitation and stayed lit. 2. 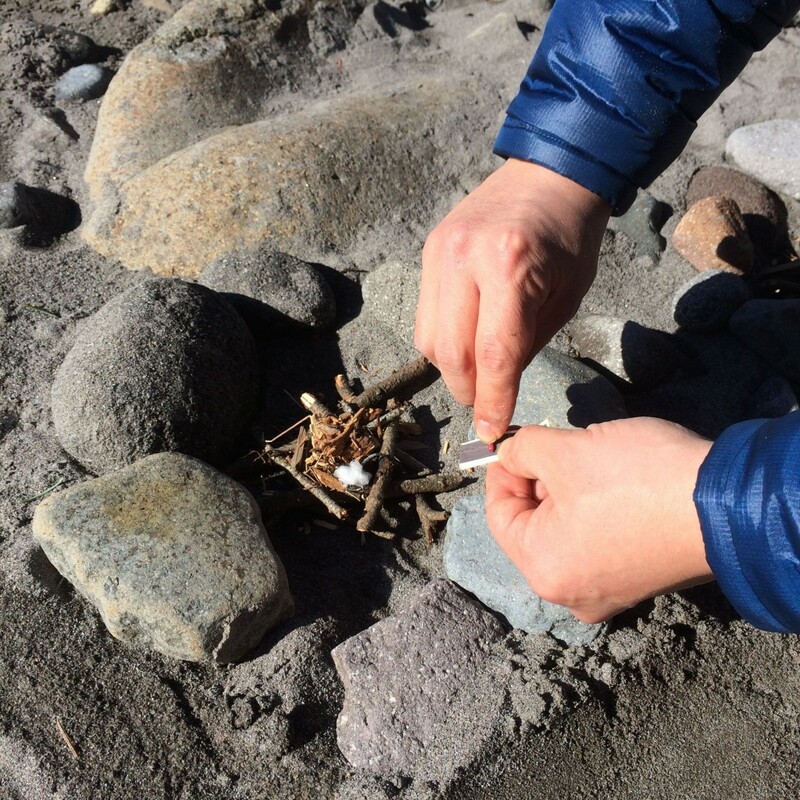 Waterproof Matches – This fire starter is a very popular item for most people. 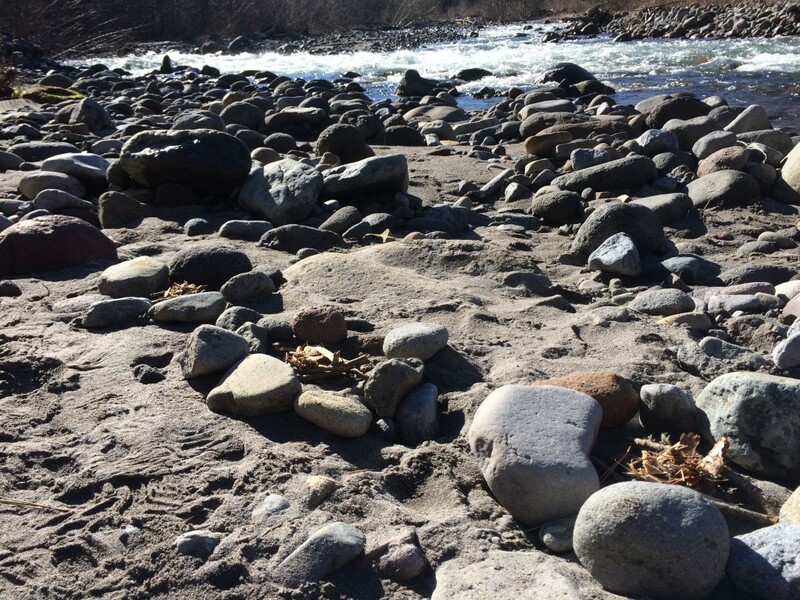 It can be found in almost any outdoor retailer. The principle is very easy, it is a high end match stick that is designed to be lit even when wet. It works like any other match where the coated match stick is struck on a coarse substance and voila, you have a lit match stick. For this test, the waterproof matches were stored in an old film container and the coarse material to light the match stick was the usual flint like paper. For the first round test, on the waterproof matches, a match was taken and was swiped against the flint paper. On the single strike, it lit on fire. Once lit, it was placed onto the tinder and the tinder started to smolder. With active blowing, the tinder would have caught on fire no problem. For the second round test, a second match stick was swiped and when lit, it was placed onto the petroleum jelly soaked cotton ball. The cotton ball lit on fire immediately. The waterproof matches lit up with ease on both attempts and successfully lit the tinder and cotton ball without hesitation. As with the EverStrike fire starter , a fireproof match was dipped in water. Once the fireproof match was wet, it managed to light on fire on the third attempt against the flint paper. Even though the fireproof match lit up on fire, it immediately went out by itself since the actual match stick (made of wood), was wet. In other words, the match lit, even when wet, but could not stay lit, unlike the EverStrike fire starter. 3. Magnesium fire starter – For this test, the Mount Timp Fire Starter was used. This test was not directed at the brand but rather, the style of fire starters. A magnesium fire starter’s basic principle is to strike against a magnesium rod to create high temperature sparks. The origin of the spark is the magnesium itself. Shaving off pieces of magnesium, complimented with the spark generated by the striker, combustion (spark) is created. The sparks can be strategically used to start a fire. There are a variety of styles available for purchase. Most magnesium based fire starters are compact. The striker on most available fire starters, are usually smaller than the magnesium rod itself. The small sized strikers, on most units, offer little leverage for great striking ability. This was true for the Mount Timp unit as well. For the first round test, both items from the Mount Timp fire starter was prepared to generate sparks. The small striker was placed against the magnesium rod, as directed, and with downward motions, sparks were created. Some attempts created more sparks than others and this was a direct reflection on the user, not the product. With approximately 10 strikes conducted, the next 15 strikes were all successful in generating sparks. This method proved to be difficult in lighting the tinder or getting a smolder. The lack of success had more to do with the proper tinder. Since this method relies on very quick sparks, but at high temperatures, having highly combustible tinder is critical. For the second round test, a cotton ball soaked in petroleum jelly was placed on the tinder. Within 3 strikes, the cotton ball lit on fire. The magnesium shavings that sparked proved effective on starting the cotton ball on fire. Having a combustible object on the tinder made this fire starting method effective. 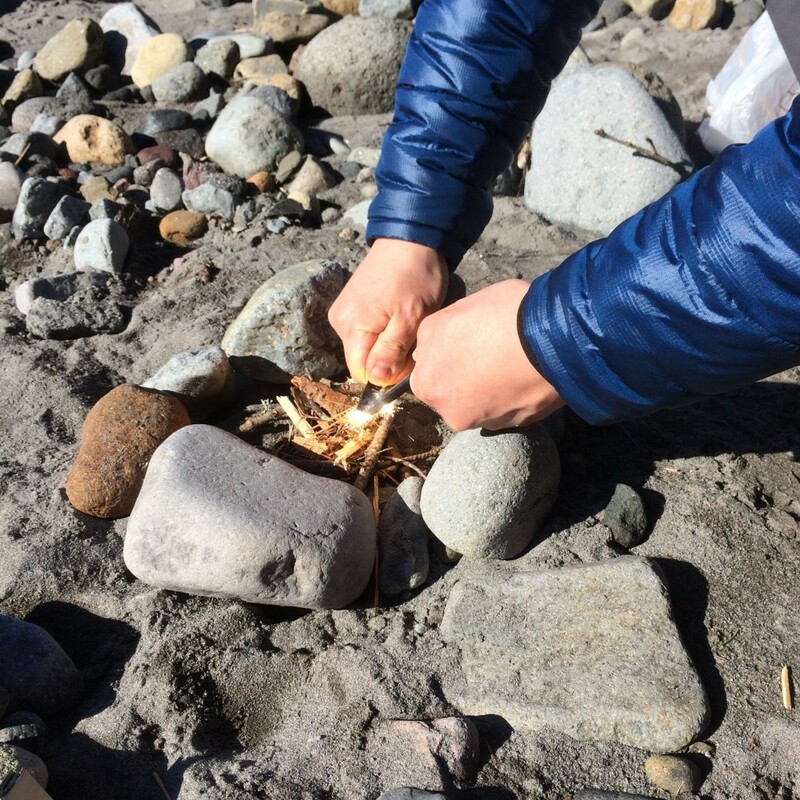 The Mount Timp fire starter was also tested after it was dipped in water. Even though most of these fire starter kits claim to work “when wet”, this test revealed otherwise. No sparks were created when the fire starter was wet. Many attempts were made, and even the striker was angled in multiple positions to try and create a spark. In this test, this fire starter was unsuccessful when wet. • Needs a highly combustible material to light a fire. • Would be difficult to use if windy – the sparks would fly every direction except on your tinder. 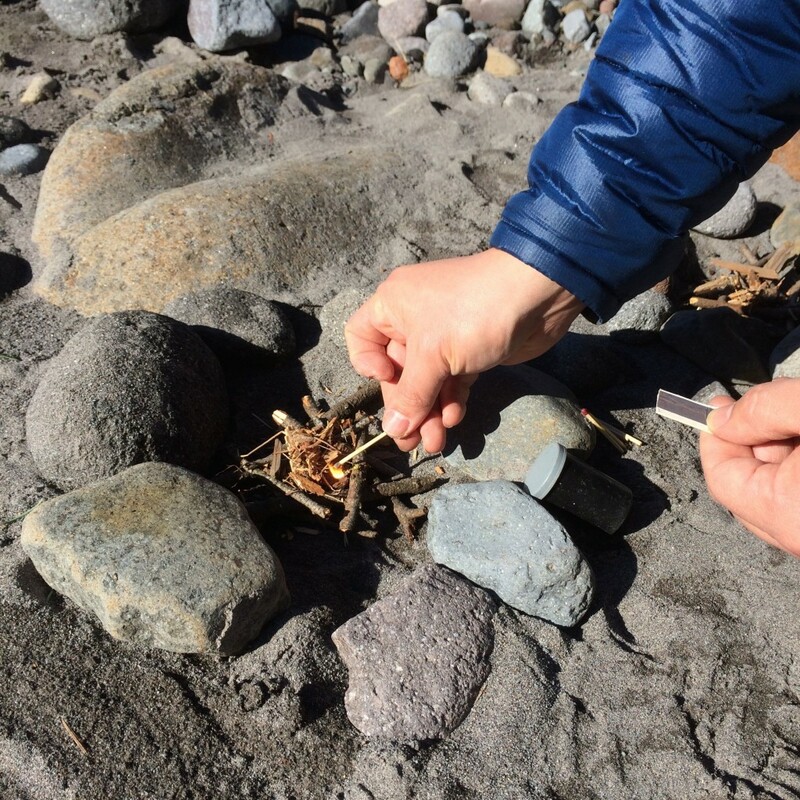 Testing the 3 different fire starters, EverStrike Fire Starter, waterproof matches, and Mount Timp Fire Starter, revealed the effectiveness of each tool. The EverStrike did well overall. It ignited on every attempt, was successful on starting the tinder on fire, and even worked when wet. Even trying to blow the EverStrike match out was difficult. For the testing objectives, the EverStrike fire starter was capable of starting a fire, worked with created wind, had no problem lighting up when wet, is durable, and reliable. The testing process revealed how the EverStrike fire starter can be trusted in any situation. In addition, the entire unit is compact, affordable enough so a person can have multiple units stashed in every corner of their needs, and most importantly, when it is needed, it worked! The waterproof matches also held up well. It started up each time and just the idea of having a flame is comforting, similar to the EverStrike. Some weaknesses were realized with testing waterproof matches. The durability of each match is directly correlated to the strength of the wood used for the match sticks. If hard pressure was used to strike the match, it can break it. Unlike the EverStrike’s metal ‘match stick’, the wooden match stick could not compare to the EverStrike. The waterproof matches did light up under every situation and was successful at starting a fire. It is worth noting that when the match was wet, even though it successfully lighted, the fire immediately went out when the flame reached the wood, since the wood was wet. In a bind, waterproof matches would work and is certainly better than not having any tools to start a fire. Waterproof matches are compact, affordable, and can be found in a wide variety of retail outlets. The magnesium rod fire starter unit did not fare as well in these test scenarios. This type of fire starter can be effective under the right conditions. Proficiency in using this type of starter is critical. As it is capable of starting a fire, during this testing, it was only successful under the ideal conditions. It did not fire up the tinder but did fire up the petroleum jelly infused cotton ball. It did not function when wet. Having said all this, there are many brands of this type of fire starters to choose from. Some are affordable and others have a variety of bells and whistles (no pun intended). The one used for this testing had a compass and small whistle built in. 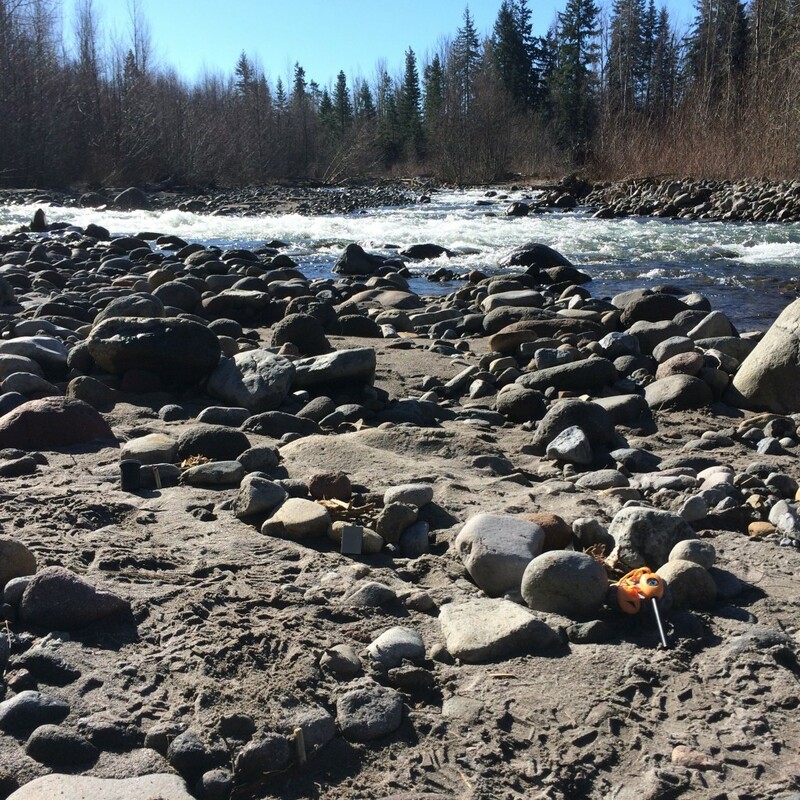 Although, the loudest noise made by the whistle could be barely heard over the rushing waters in the stream. Proficiency is critical with this type of fire starter and may not be the best option under most situations. When it comes down to it, when a person needs a fire or the ability to start a fire, the expectation is to start a fire quickly. It can be a survival situation or a casual social gathering. Regardless of the situation, a fire provides tremendous benefits to each one of us. So, when you reach for a fire starter kit, choosing one with the most versatility makes sense. In this test, the EverStrike fire starter kit proved to be the most effective and versatile.